There was a painting in our Singapore home of a large rock surrounded by a rugged coastline being battered by ocean waves. Think of the coastlines of Hawaii, the British Isles, or parts of California along the Pacific Coast Highway. I remember asking my Dad what it spoke of to him. We both spent alot of time in the ocean on our diving sojourns and know first hand currents get strong, and so do waves. 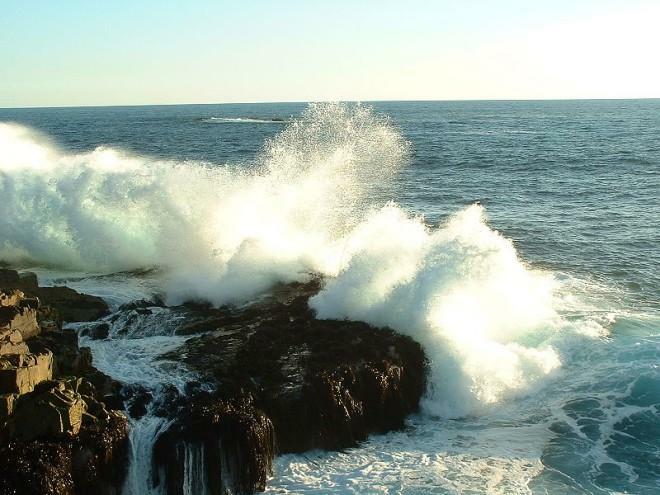 He conveyed that though the ocean waves keep pounding the rock and coastline, through it all, the rock just stays there and holds it ground. Through the chaos all around, it represented strength to carry on. Been in quite a few storms over my lifetime. Singapore had some of the most fierce thunderstorms I have ever witnessed. Vividly remember waking up in the middle of a school night thinking the island was under attack. Now living near the mid-Atlantic seaboard it is expected. Won’t forget Hurricane Fran in 1996, Hurricane Gaston in 2004, and Hurricane Irene in 2011. Just went through Hurricane Sandy. Thankful for first responders, health care workers, and the kindness and generosity of neighbors. After the storm passes there is the aftermath as loses are mourned and people press on through the day to day as hope begins anew towards recovering from it all. Ever see the movie (or read the book by Sebastian Junger) “The Perfect Storm”? The storm was Hurricane Grace which became absorbed into what was called the Halloween Nor’easter. 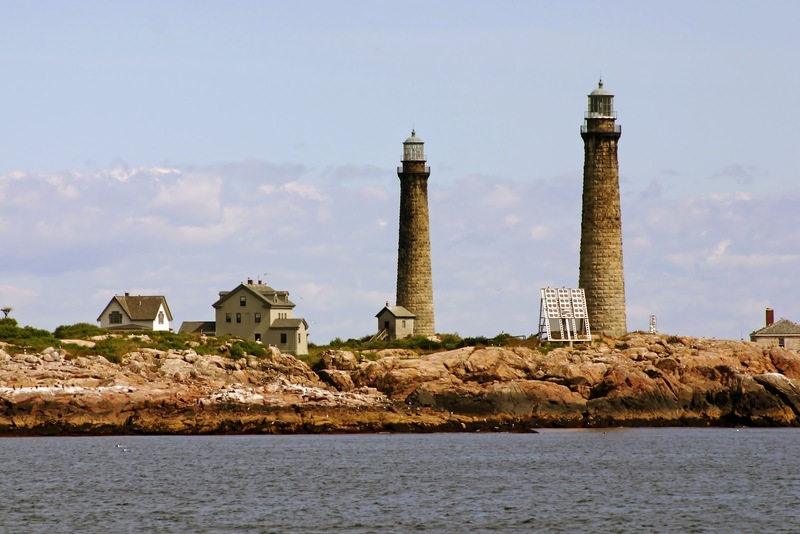 A graduate school classmate of mine who was in the Coast Guard remembers that storm from October of 1991; told me that anyone who was there at the Coast Guard Academy in New London, CT will certainly never forget it. It was a night they were putting lives on the line searching and conducting rescue missions to save other lives. A true story and sad one as well, with a ‘morning after’ moment at the end. God Bless them all. 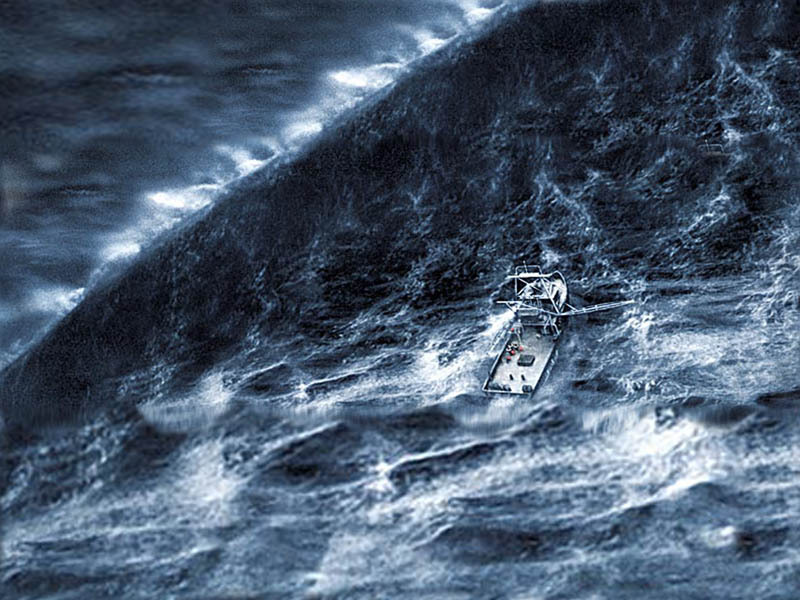 The scene when Captain Billy Tyne (played by George Clooney) looked up and was blindsided by a wave a size of which he had never seen, nor wanted to face, he knew something was about to happen. Time Froze. Billy Tyne had a purpose and a passion, and had found it (please excuse language at the end). It is certainly admirable to find your purpose and passion and I certainly admire and applaud those who have. However it is possible that through the storms of life and the fog that follows, there are times when a purpose finds you. It is inevitable that storms in life will hit, when you least expect. Akin to that wave, some will blindside. A fog will follow. As Max Lucado has written about the fog of a broken heart “…it slyly imprisons the soul and refuses easy escape. It’s a silent mist that eclipses the sun and beckons the darkness. It’s a heavy cloud that honors no hour and respects no person. It disorients…makes it hard to see the road.” Vision becomes blurred and the future becomes getting through the night and making through the next day. Whatever the case you will probably recognize this fog. It could be betrayal, a parent who left or passed away, death of loved one, a job loss that had cascading effects for your family, or keeping close to a loved one’s bedside during a time of need. The Messick family that has become an extended family as I transitioned being a single Dad. 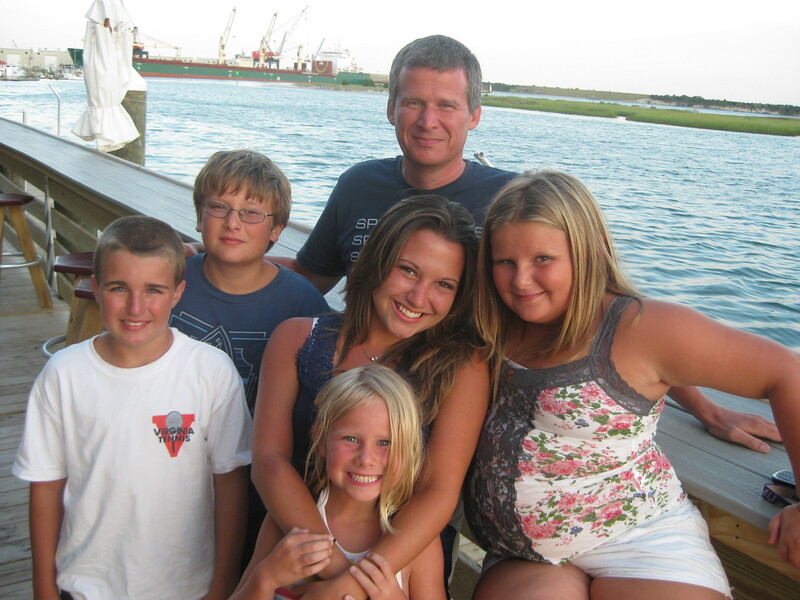 Rod Messick, devoted husband and Dad passed away suddenly in 2007 from cancer leaving a mother with 5 kids. Though I never met Rod, there is no doubt to the influence he had on his family and he has encouraged and inspired me to be a better Dad. The Shufflebarger family who lost their daughter, Ashlynn, two days after birth. They received news that death would come early (she had a fatal chromosomal defect) during her pregnancy and they chose to keep the pregnancy, hoping for a miracle. She came into their lives and they had 2 days to hold her close and love and care for their child. Scott and I have lunch every now and then and he generously shares with me what he and his wife, Cindy, have gone and grown through. (Cindy shares the experience and encourages others to look for hope through the pain and authored the book “Dancing in the Rain: Finding Joy in the Midst of the Storm”) Their youngest child, Chase, has all their family’s initials in his name: Cindy, Haley, Ashlynn, Scott, and Emma. 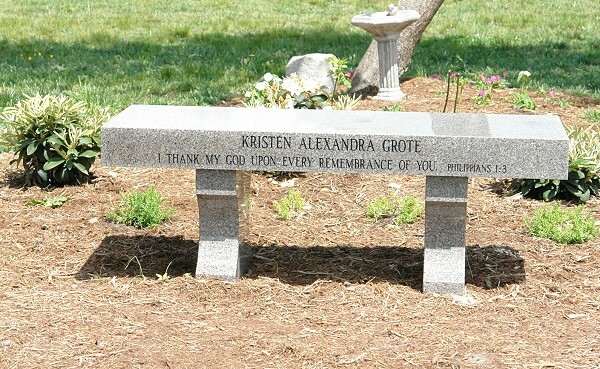 The Grote family who lost their 3-year-old daughter, Kristen Grote, in August 2004. She was accidentally left in the car in the church parking lot on a hot summer day. The Dad, Doug Grote has shared that “during this time nothing was of value…my daughter just died. Nothing mattered anymore. I didn’t care about a degree. I didn’t care about a job. I didn’t care about relationships.” To him, nights were the worst, because if he went to sleep, he would have to wake up and live through another day. 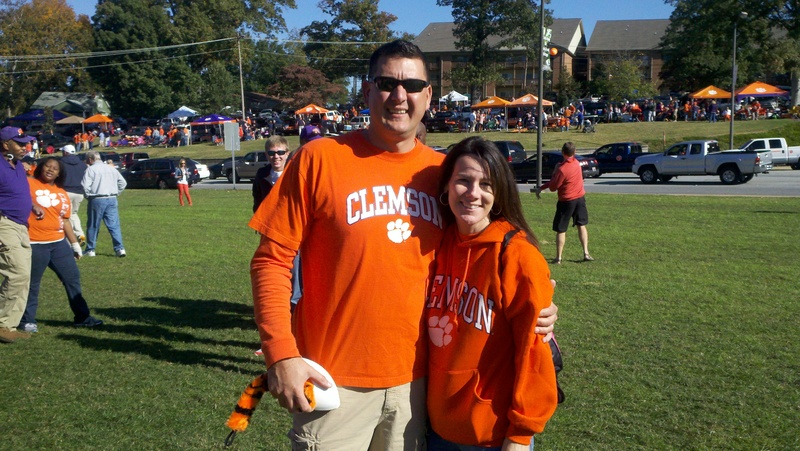 Doug is now a Director with Upward Sports and lives in South Carolina. 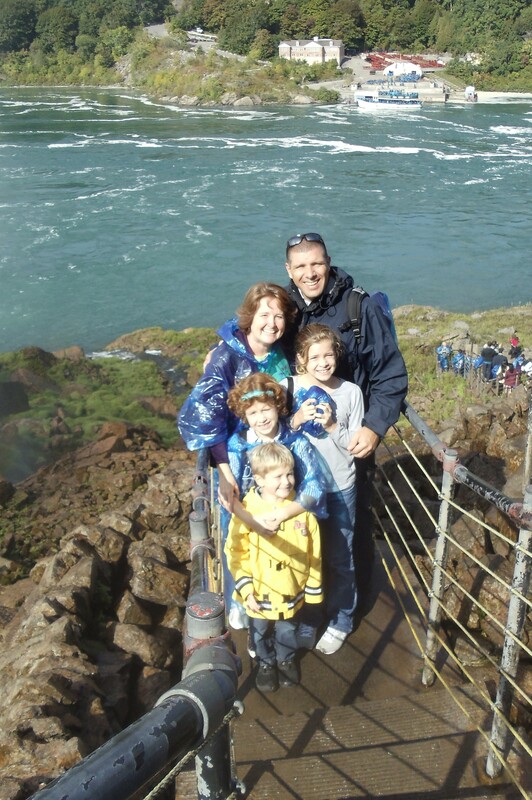 He and his wife, Dianna, are pictured below along with their children, Dayton and Declan. My neighbors, the Isabelle family, whose youngest son Mark was diagnosed with Leukemia at age 4. 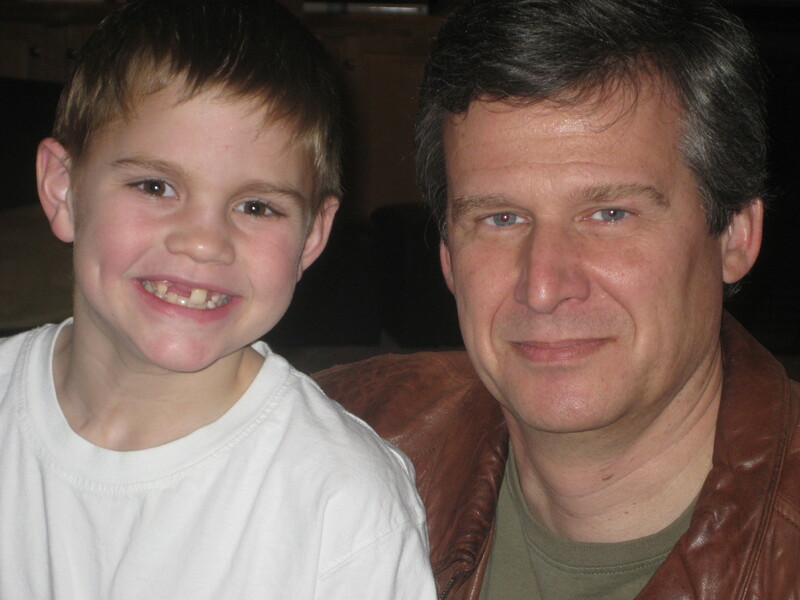 In Mark’s short life to date he has experienced more pain and trauma than anyone could imagine. As their neighbor I have witnessed him and his family face it with love, faith, and courage. Many of us could never, ever imagine the storms they went through. I’m sure others that are reading this can add to this list. The storm and ensuing fog dashes hopes and destroys dreams. It turns nights endless and futures from years to getting through Tuesday. All the above have turned their personal storms into encouragement and hope for others; very apparent that their purpose and passions in many ways have found them. Their experiences through the turmoil, rather than weaken, instead strengthened their faith as they carried on. The Messicks help families during transitions and in need; one of the daughters that helped my family is now watching a family with four young children in our neighborhood as the mother has heart health issues and her energy levels make it very difficult to keep up with her children. The Shufflebargers and Grotes are using their experience to encourage others to look for hope through pain and prepare for adversity. Mark Isabelle is now 10 years old and his cancer is currently in remission. Seeing him at the bus stop in the mornings I can’t help to notice his disposition, energy, and smile is certainly contagious. All my kids played, and I coached, in Upward leagues for several seasons. I was recently at the athletic fields where the football and soccer games were played. Kristen’s Garden is there (picture from below). I’m moved every time I see it and pictures of her. In a recent correspondence with Doug about this post, he shared that he and Dianna stop by there whenever they are in town just to take it in as it was a bright endeavor during a dark time in their lives. He also reminded me that choosing to look forward, and not just back, is a choice we all can make. Thanks Doug. I also would like to say that whatever storm and fog you are in, you can be sure that you are not alone. 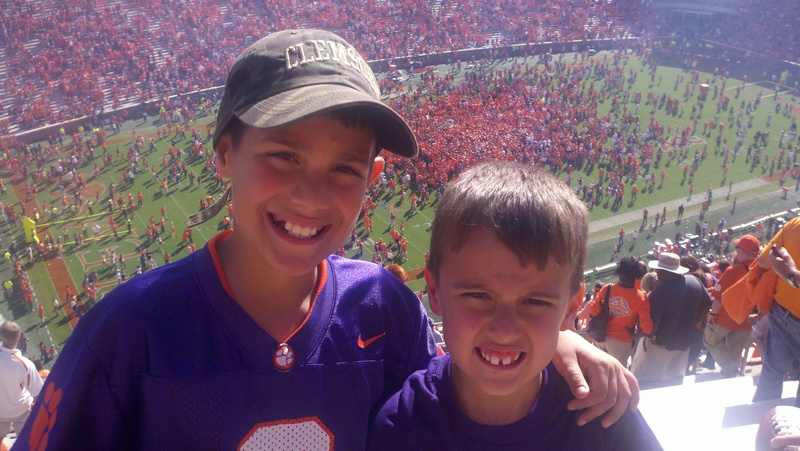 Over the past few years as I transitioned to being a single Dad, I had what I called a ‘band of brothers’ with guys who had been there. The influence and difference they made has been immeasurable. They were always, and I mean always, there for me as hands that were extended to pick me up and pull me through. This year, some of us got together and started a group for other men going through similar trials now. It is akin to a teammate reaching out to pick you up when you have been knocked down and to keep going and stay strong. The fogs just lifting. Hug my daughters and my son. Head out to school and work, get past the goodbyes and looking in each others eyes, stories of Dad in school as a kid. Come home, homework, Montana to Clark in the front yard, touchdown. Get in the car and go to practice, throw a wave to the neighborhood kids on the street. Swim practices, gymnastics, horseback riding, basketball, watching my son’s team win it all. Dinner table, all together now. Head to the beach, birds show up; pelicans, seagulls, egrets, sand pipers, my youngest names them…Bob, Betsy, Noodles, Freggly. Camping weekends, Father/Daughter Dances, Canoeing and Fishing on Shenandoah. The sun hits ya, carpe diem each day. Open up to ’em, you’re steamin’ now. The kids are smiling, looking to you to lead the charge. Ya know what? You’re a Dad! Is there any thing better in the world? The song in the film by John Mellencamp is called “Yours Forever”, the chorus is “Tomorrow still holds out its hand to you”. Ya know what? It certainly does. What a wonderful piece of writing! Keep up the great work!